A large, beefy workbench on casters. 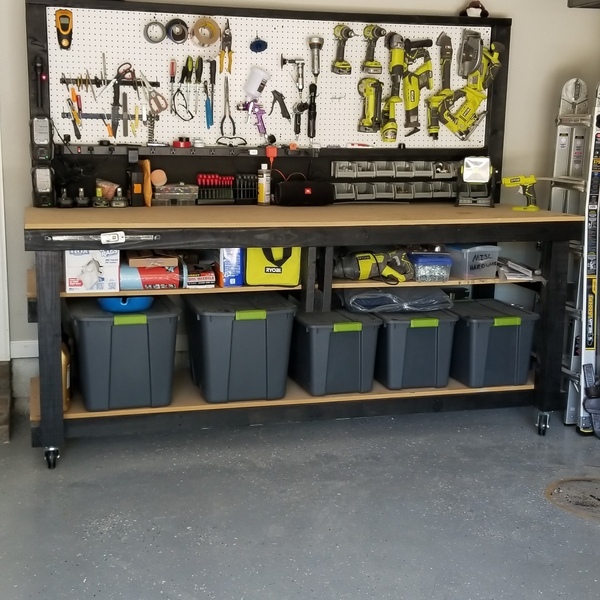 Stores all my handheld ryobi tools, charging stations, other tools, and more. Large work surface. 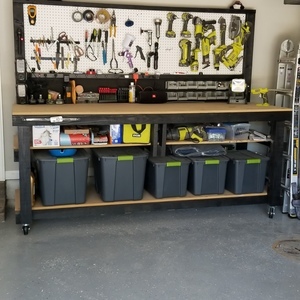 Moves easily around the shop and make cleanups a breeze. Such a nice workspace! We dig all that green! Which RYOBI tool is your most-used? My 1/4 in. Impact (p237) is my workhorse and daily go to. It does every job I need it to. From woodwork to automotive to household, it packs a punch. Enough to sink long screws in thick wood or break loose rusted bolts. I love it and the tri-beam lights are super handy!